The below Gray Enhancements Benefit Program Application is for Patients who qualified for a Base Award in the 2016 Settlement Program and may also be eligible to receive certain additional awards as part of the Enhancements Benefit Program for specific, covered events resulting from the surgery to remove the ABG II or Rejuvenate Modular hip implant. This application is intended only for non-QRS-Related Enhancements. You cannot apply for QRS-Related Enhancements at this time. The deadline to apply for QRS-Related Enhancements was March 31, 2017 with your Enrollment Claim Form. Any application for QRS-Related Enhancements at this time will be deemed ineligible. The below Green Enhancements Benefit Program Application is for Patients who qualified for a Base Award in the 2014 Settlement Program and may also be eligible to receive certain additional awards as part of the Enhancements Benefit Program for specific, covered events resulting from the surgery to remove the ABG II or Rejuvenate Modular hip implant. 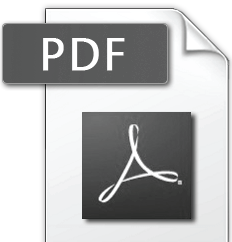 Please note, the functionality of the above Gray and Green Enhancements Benefit Program Application pdf templates require the most recent version of the free Acrobat Reader, which can be downloaded at https://get.adobe.com/reader/. If you already have Adobe Acrobat Reader installed, it is recommended that you download the current version to ensure you are using the most recent version available from Adobe.